It is completely certain that The Brit Method is a scam. You can find the clues all over this website, especially if you look on the homepage. 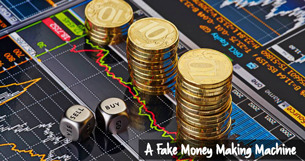 Like almost all other binary options trading systems, this website will steal away all your cash. Since 1972, Florida law has regulated these developments by requiring review and comment from state agencies and affected cities and counties. State planners can require developers to reduce harm to wildlife and water quality and to provide for adequate housing and transportation. But developers have often chafed at the review process and requirements, as have some local governments. Airports, motels, marinas and seaports have been taken out from under the law. Last year, SB 372 would have expanded from eight to 15 the number of counties where developments of regional impact, or DRIs, are exempt from review. But the bill died in the face of opposition from environmental groups and the Florida Association of Counties. Now, a former state planning chief is recommending that the DRI process be scrapped altogether. Robert M. Rhodes, a land use attorney who was chief of the Bureau of Land and Water Management in the 1970s under then-Gov. Reubin Askew, says the DRI process no longer encourages protection of important state interests. In Florida Planning magazine, Rhodes writes that the “lengthy, expensive and often redundant” review process discourages good planning. Rhodes also says law changes approved by the Florida Legislature in 2009 exempting DRIs from review in the state’s largest eight counties, along with some cities, has created an uneven playing field. Furthermore, he said the 2011 law changes that created a state-expedited review process mean there isn’t time for meaningful review by state planners and that coordination with local governments is largely ineffective. He proposes giving the state’s 11 regional planning councils a larger role in determining whether proposed new developments conflict with important state resources. He also wants DRI-scale projects to receive what he calls a more efficient and effective review process similar to the streamlined “state coordinated review” established in 2011. Rhodes says he hopes his proposal will generate discussion in Tallahassee. “I believe addressing regional impacts in a meaningful way for new development projects is an important state interest,” Rhodes told me. The possibility of eliminating the DRI process is raising some concerns. In its 2015 legislative agenda, the Florida League of Cities said it opposes expanding exemptions or repealing the DRI process. “Without the DRI process, cities with limited planning departments cannot effectively plan large-scale developments that will affect multiple jurisdictions,” the League says. State Sen. Wilton Simpson, R-Trilby, chairman of the Senate committee that oversees state growth management policy, said there is speculation that DRI legislation will be filed. Land-use attorney Nancy Linnan, who represents developers and local governments, said there isn’t agreement in the Legislature on what to do. And with elections having just occurred, she said there may not be time to resolve the issue in the upcoming session. “But it’s not impossible and definitely worth the effort even if those interested only end up with taking baby steps to solve some of the problems,” Linnan said. As long as Florida’s population is increasing and development is occurring, the state will play an important role in the oversight of development decisions and protection of the environment and other state interests. Bruce Ritchie (@bruceritchie) is an independent journalist covering environment and growth management issues in Tallahassee. He also is editor of Floridaenvironments.com. Column courtesy of Context Florida.